Halloween is a very Irish feast. As the evenings get shorter, it’s all about getting spookey costumes on and enjoying the autumnal dark nights and the cracking of the burning fire logs. My own favourite thing about Halloween is taking out the recipe books to make barmbrack and other seasonal treats like pumpkin soup and oven-baked apples. A great way to celebrate the end of the summer and face the coming winter season. 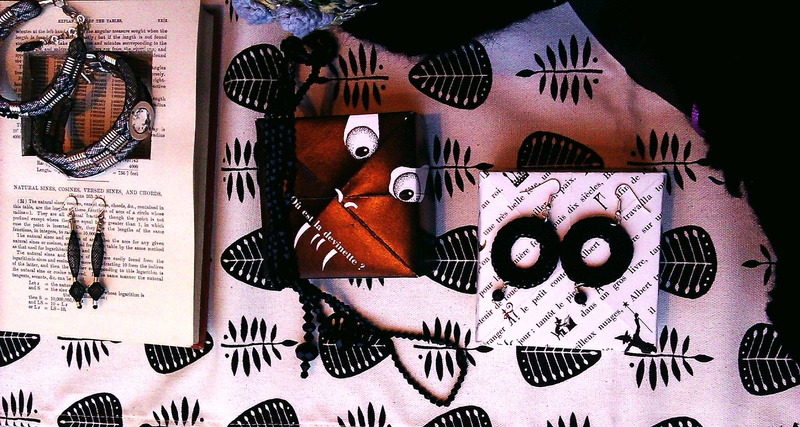 Plenty of other treats in Handmade Design Studio this autumn such as woolies to keep you warm on All Saints’ night: black of course ! Hand-knitted scarves, warm and stylish hats by Mad4hats, fine merino felted wrist warmers and matching snood by Niki Collier Designs. Add a bit of drama and sparkle with some earrings or cuffs by award-winning jewellery designer Bláithín Ennis. 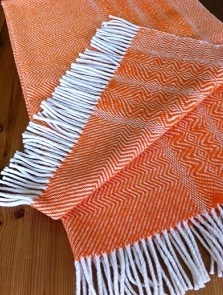 Check out the new carrot twill handwoven blanket by Studio Donegal : its orange colour will brighten up any room and create a sense of pure comfort, guaranteed ! Gail Kelly’s signature leaf pattern printed on unbleached cotton is a striking yet simple contemporary design. It adorns the dining table as a runner and would be a lovely backdrop to your own home-cooking and edible treats ! And if you are painting the town on All Saints’ night, make sure it is in Annie Sloan chalk paint™ Graphite or Barcelona Orange !